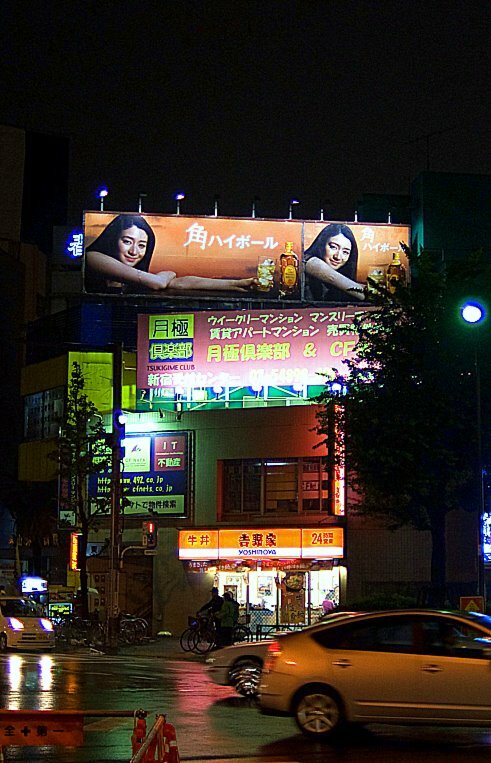 Highball billboards in Shinjuku, Tokyo. There is a really good article in Metropolis Magazine by Nicholas Coldicott telling the story of "how Japan's least fashionable drink came back from the grave": the whisky highball. As Nicholas says, the highball was extremely popular during the golden age of whisky drinking in Japan, between the 1960s and 80s. I've quoted this before but Eiji Eigawa at the Jūsō Torys Bar described the salaryman's drinking culture of that period: "The boss used come in and order a highball. Then, everybody with him would order a highball, right down to the newest guy in the office. It's not like that now. The youngest guy will order a single malt". One of the reasons why whisky sales have being falling for the last decade is possibly because a highball (and the similar mizuwari, see below) does not have anything like the same function as a single malt. It is a clumsy way to put it but what I mean by "function" is the role a drink has in an evening: whether it is a easy starter drink, a post prandial sip, a chaser etc..
A highball is probably best compared to a Japanese lager: it is a light, refreshing drink that clears the mouth. 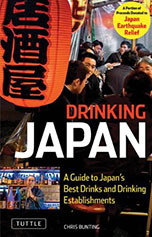 In Japan, whole groups of drinkers will often order a "toriaezu beer" when they enter a bar. This loosely translates as an "in the mean time beer". Basically, it is an easy, refreshing, and inoffensive drink that can be ordered quickly on first arrival at a bar before everyone takes a look at the menu. Everybody toasts with the "toriaezu beer" and then orders their own stuff (which, of course, will often continue along the light pilsener line). What has happened over the last decade or so is that whisky's slice of the "toriaezu" market has shrunk drastically, displaced by lagers and very cheap "happoshu" quasi-lagers and it has retreated into a role as a late night sip, to be mulled over and appreciated. That is great for whisky aficionados, because the whisky has to be superb quality, but it is not so good for the whisky makers' profits. The actress is Koyuki and is very well known in Japan. 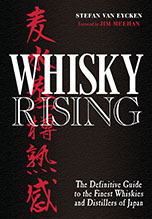 An interesting sidenote on the Suntory campaign: one of the reasons they decided to go for the highball for their nostalgia blast, rather than that other great staple of golden age Japanese whisky, the mizuwari, was because they felt they could control the quality of the water that went into the highball. Hiroyoshi Miyamoto, general manager of Suntory's Yamazaki distillery, told me: "Water is getting worse over the years in Japan. We always try to educate people to use mineral water but if you are diluting with bad tasting water it is spoiling the flavours regardless of how good the whisky is." The highball campaign, on the other hand, comes with soda water produced by Suntory itself. The campaign is having some success. Sales of Kakubin, the classic whisky featured in the campaign, jumped 13 per cent last year compared to 2007. Of course, Suntory does not have a monopoly on the highball. 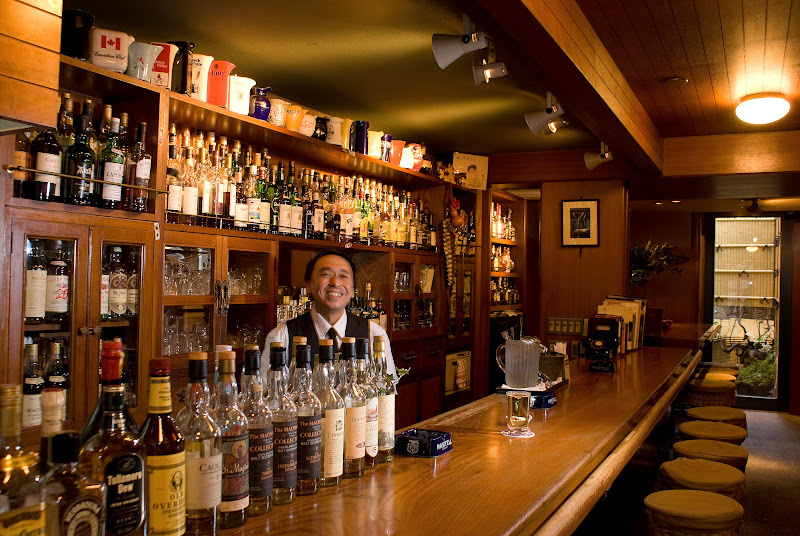 The famous "Samboa" family of bars in Kansai has made a speciality of them. Tatsumi Nakagawa, at the Gion Samboa in Kyoto, makes two types: one with ice similar to Koyuki's recipe in the ad above and a classic recipe without ice. The whisky is refrigerated (this may have been the inspiration for the cold whisky in the ad) to remove the need for ice and therefore the certainty of dilution as the drink warms. Wilkinson Tansan (1,2), a brand set up by the Briton J. Clifford-Wilkinson in 1889 and now owned by Suntory's competitor Asahi, is the preferred soda. Or you could just save all the fuss and buy the Suntory Kaku-Highball ready made!!?? He liked it and thinks it is going to stomp all over the beer market!! Hmmm.